Setting yourself up as a flea market vendor is just about the easiest business a person could get into. To get started selling at flea markets, all you need to do is empty out your basement or garage of stuff you haven’t used in years, head to your local flea market, rent yourself a spot, and start selling your stuff to others. Of course, if you plan on being in business more than one or two days it will take a bit more effort than that. As a flea market vendor, there are no huge start-up fees. Instead, there’s just the small cost of doing business. 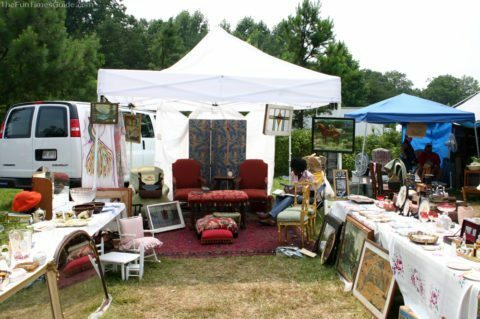 Established flea markets will generally rent you a spot for a nominal fee — either a daily rate or monthly fee. TIP: If you’ve never sold items at a flea market before, then you might want to pay for just one day until you know if you want to commit to a full month. Some markets also have booth space in a covered area — they charge more for these spaces, but you’ll be protected from weather. Depending on local and state regulations, you may be required to obtain a sales tax number for your flea market business. There may also be restrictions concerning the sale of animals or homemade food items, among other things. 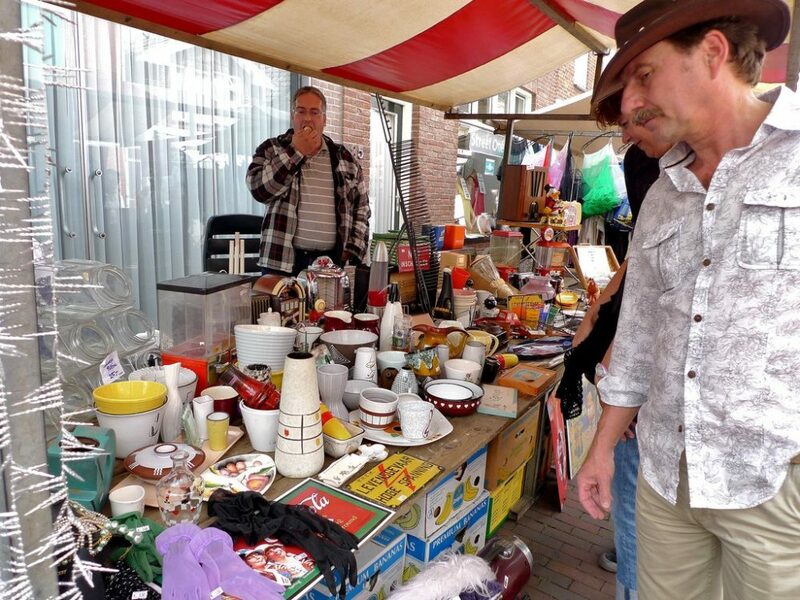 Find good deals on items that you will eventually sell at your own flea market booth. Learn from the best — find out how to sell at flea markets and what sells best at flea markets simply by watching others in action. I once sold off the remainder of a moving sale to a flea market vendor as a way to get rid of everything in one shot. By buying everything at a reduced package price, he was able to turn a nice profit by re-selling those things at his own flea market. 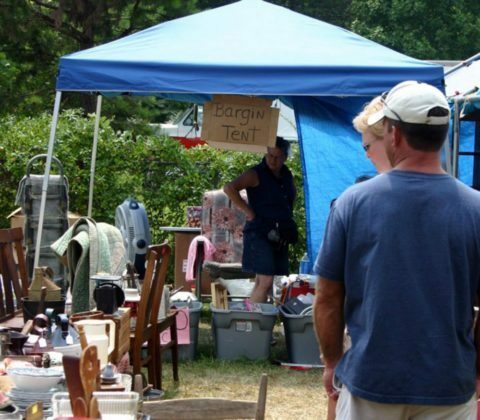 Here is one vendor’s funny story about what sells best at flea markets and what doesn’t: How I Lost $300 Selling Stuff At A Flea Market. My all-time favorite flea market is the First Monday Trade Days in Canton TX. On the first weekend of every month (year round), you can find an endless variety of bargains available all in one place. The entire town gets into the spirit! 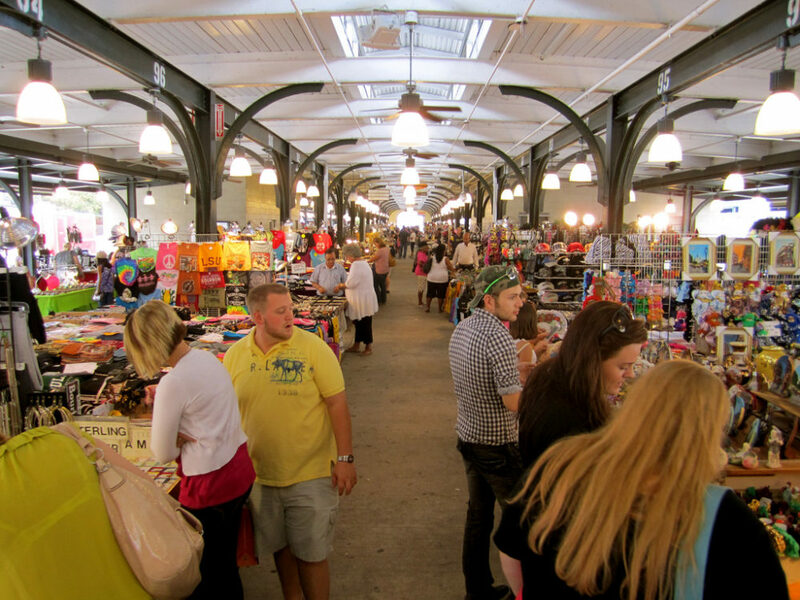 What If You Can’t Find A Flea Market? If there aren’t any organized flea markets in your area, you still have some options. For example, here in Duluth Minnesota people set up an impromptu flea market during the summer months on an empty small lot on the edge of town. It’s a narrow strip of city-owned land where a handful of vendors park their vehicles and sell directly from their trunk or tailgate. Some sell homemade craft items, others bring collectibles and set up tables to display their goods. You may also be able to organize a flea market in the parking lot of a convenience store or supermarket. Churches might be interested in renting you space in the parking lot for a daily (or monthly) sale. TIP: As the promoter or organizer of the flea market, you could also collect a fee from other vendors that wish to rent space there as well. 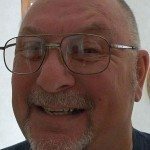 #1 – Give good customer service. Smile, say Hi, and try to treat your customers as you would like to be treated. A grumpy flea market vendor will almost never sell as much as a happy, personable vendor selling similar merchandise. Greet your customers and offer assistance if needed — but don’t be a pushy salesperson either. #2 – Accept as many forms of payment as possible. In addition to accepting multiple forms of payment, be sure to arrive at the flea market prepared with plenty of change — both small bills and coins. A cash box can be handy, but it can also be an easy target for would-be thieves. Many long-time flea market vendors prefer to keep their money in a simple tool apron that they wear with pockets in it. #3 – Be prepared for anything. Like a Boy Scout, a good flea market vendor never leaves the house unprepared. In addition to having plenty of change, there are a few other items (like pens, price stickers, bags — you get the idea) that most flea market vendors should always have on hand. I’ve also written about a few other quick and easy ways to start a small, mobile business. For example, here’s how to become a hot dog vendor and tips for starting a mini-donuts food concession.